Posted on April 18, 2017 at 7:09 pm. Upon entering an already crowded field, craft brewers often find themselves surrounded by brick walls when it comes time to market their brand. In order to climb out of the box and into the spotlight, your own cidery or distillery must be able to sell a compelling narrative, advertise efficiently and create effective marketing campaigns while scraping out a niche in the teeming marketplace. As overwhelming as it may seem, improving your marketing presence can be done in just a few simple steps. Consider the following tips to enhance your promotional efforts. According to the brewersassociation.org, there are over 5,300 breweries operating in the United States as of 2016. With a 16.6% increase in U.S. breweries from 2015 to 2016, your own craft brewery may be faced with the question: how do we stand out as the field expands and becomes increasingly competitive? Authenticity is the key to promoting your business. Because the American craft brewery prides itself on three principles – limited production, independence and tradition – creating a narrative based on what makes your cidery or distillery unique will help give your brewery personality. And if what makes your craft brewery distinct is its ties to the local community, be sure to capitalize on sponsorships, donations and volunteerism to build equity and further enhance your brand’s story. At the end of the day, you want people to feel at home with your marketing presence – like they can sit down and drink a pint with you. 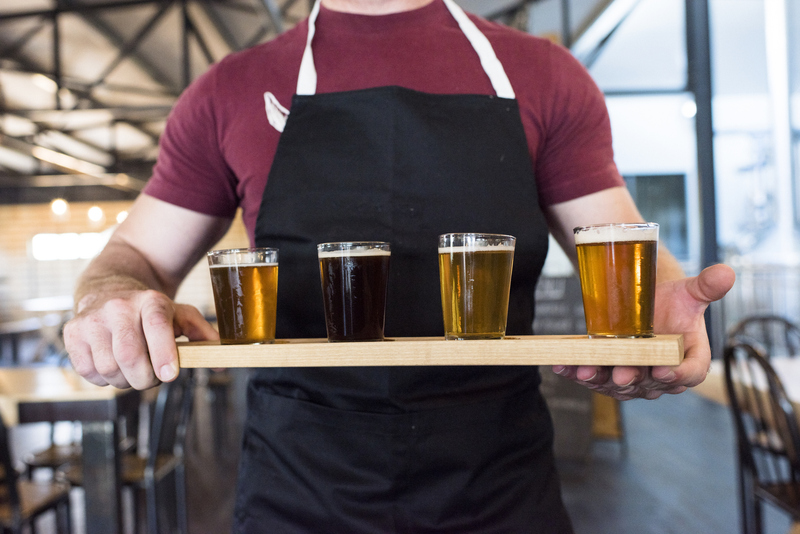 Sounding like a corporate drone and using unfit advertising strategies, like television commercials and direct mail, will only make your craft brewery seem out of touch with consumers. Traditional marketing techniques, such as placing ads in local newspapers and magazines, are a great way to weave your brewery into the fabric of the surrounding community. However, in the digital age, outreach opportunities will mostly present themselves in the form of social media. Facebook, Instagram and Twitter are all great platforms to communicate directly with your fans. Capture fun, candid moments on Snapchat or make food pairing videos on YouTube featuring your brews to leave a genuine impression on your audience. In addition to staying up-to-date on your social media platforms, it’s crucial to develop a marketing campaign. Whether through a link on Twitter or a weekly newsletter, driving people to your website is essential. Once they arrive, your site has to be easy to navigate, simple and polished to increase conversion. When looking to send out e-mails, pick a time and stick with it. Maybe consider publishing a newsletter right before the weekend or during the midweek slump. Just remember: be authentic, consistent and social, and people will follow.